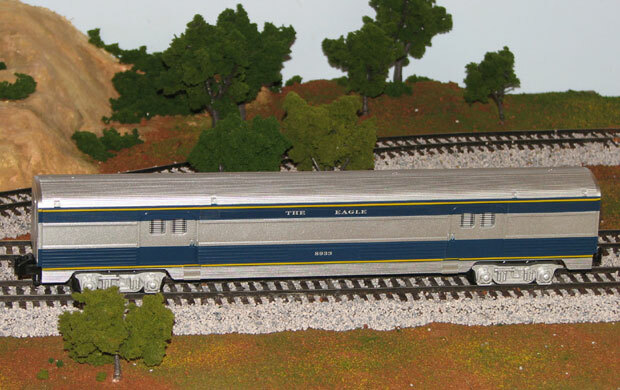 One of my all time favorite trains, right up there with the Northern Pacific. Really classy! 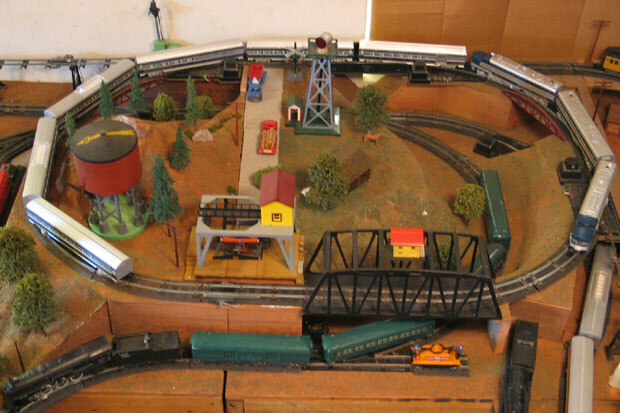 Lionel made this set in 1991. 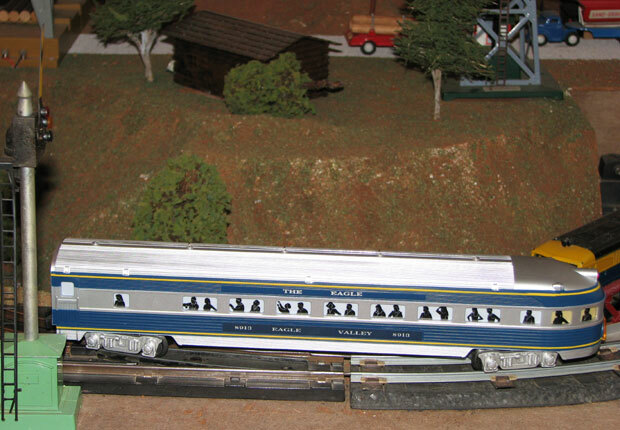 When you stretch it all out, it's over ten feet long and crosses the entire layout! 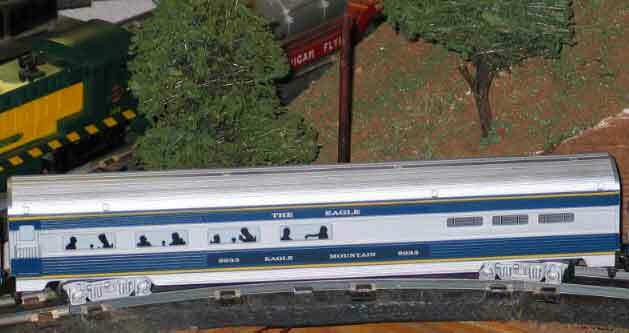 And that's without the observation car. 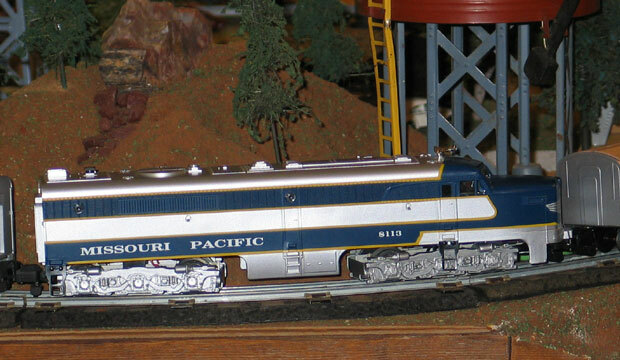 Until I found the MOPAC engines, I used Chesapeake & Ohio engines that look great with the Missouri Pacific cars. 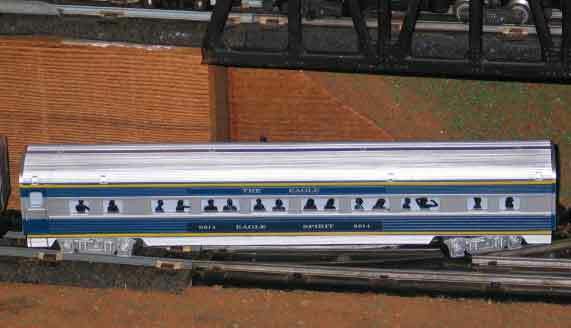 And since the cars don't say "Missouri Pacific" anywhere on them, only the people who know the American Flyer line thought twice about it. 48112, 48118 & 48113 Alco ABA Engines. 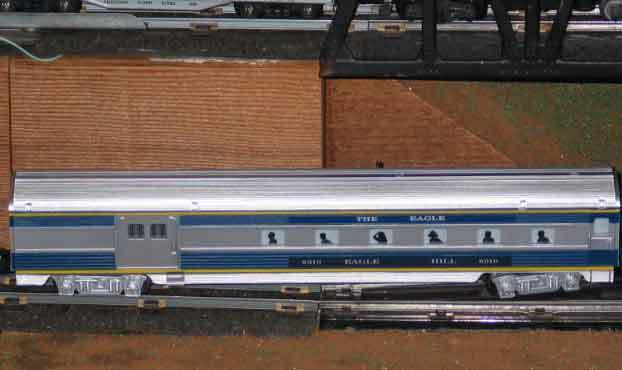 48933 Eagle Mountain Dining Car, the third of the "extra" cars built for the set, made in 1994. 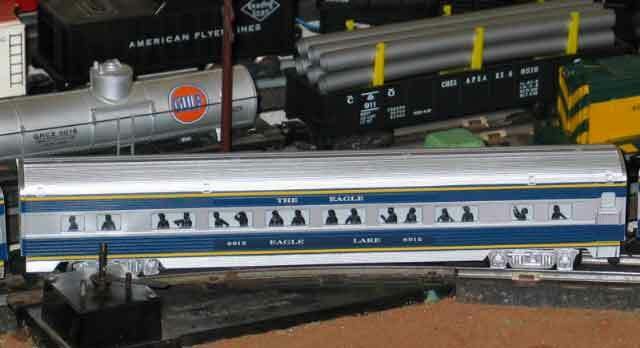 48913 Eagle Valley Observation Car. 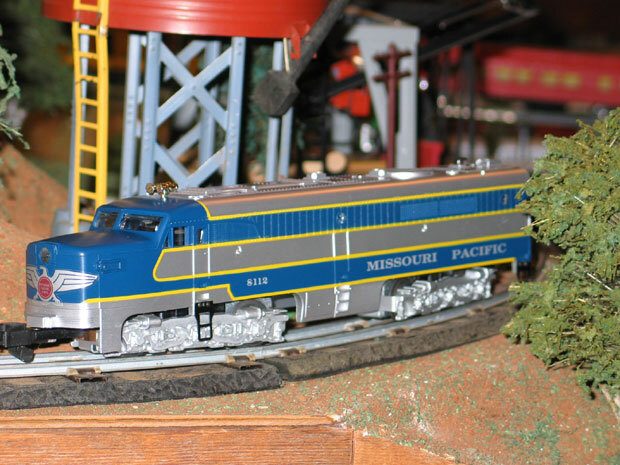 #49928 Missouri Pacific Baggage Car made in 2009.